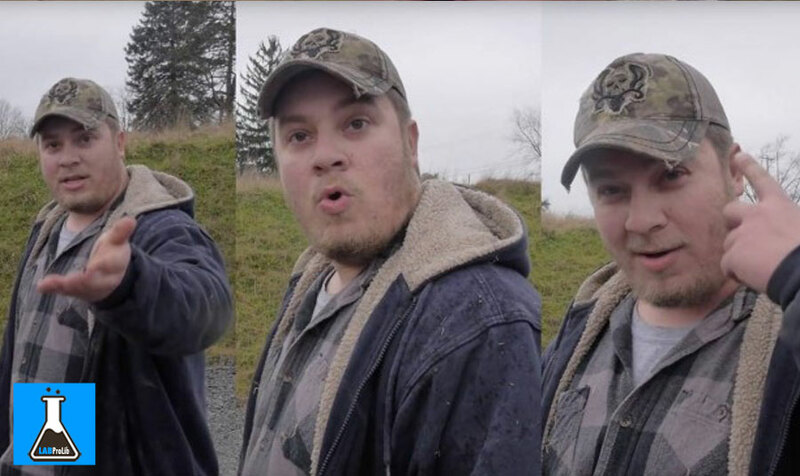 MARS, Pa. —An employee of MMC Land Management is out of a job after being caught on camera hurling racial slurs at protesters outside a drilling site in Mars a couple of weeks ago. A man who has since been identified to Channel 11 as John Pisone was unrelenting in a harsh verbal attack that devolved into a racial tirade. A recording of the incident shows him making animal noises and repeatedly using a racial slur when referring to the African-American photographer who captured the incident. “You’re maybe the 10th one I’ve seen in my life, too. You all look the same to me,” Pisone says in the video. Ping Pirrung and Diane Sipe were protesting in Mars on Sunday against the close proximity of natural gas drilling to area schools when Pisone arrived. “He drove up, got out of his truck and started basically harassing us,” Pirrung said. “I think he was trying to get something going, and when he didn’t succeed with us, I think he then attacked the cameraman because, I guess, he is a racist,” Sipe said. Criticism and outrage on social media over the video, which was posted to Facebook, ultimately cost Pisone his job at MMC Land Management. “Today, we were disgusted to learn that one of MMC’s former employees used racial slurs and made racially charged comments during a peaceful protest in Mars, Pennsylvania, outside of work hours at a location with which we have no affiliation. “We are sorry that this incident occurred. Whether at work or not, we do not condone hate speech – EVER. Inclusion and diversity are among MMC’s core values. We believe in equality for everyone, regardless of race, age, gender identity, ethnicity, religion or sexual orientation. Pisone reached out to Channel 11 Thursday to apologize publicly for his actions. “It was foolish of me, especially to go racial over the whole thing,” he said. Pisone said since the video of his tirade was posted online, he’s received death threats and had to shut down his social media accounts. Pisone said he was angry about the anti-drilling protest because the industry, he says, is flushing money and jobs into the area. Pisone told Channel 11 News that he’s turned to a church to help guide him through this incident. He said while his family is ashamed of his actions, they are supporting him.